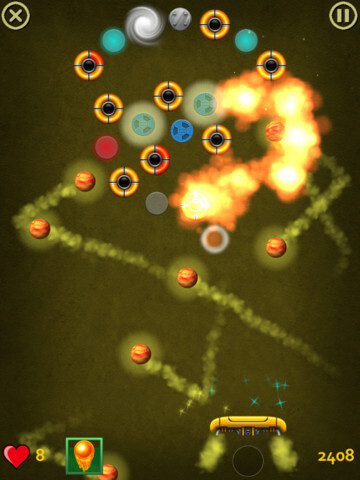 Developer Quote: "Jet Ball is a powerful breakout game packed with stunning visuals, tons of dynamic levels and lots of fresh ideas." 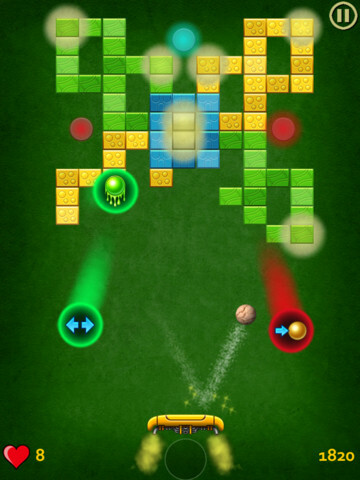 In Jet Ball HD, you get the help you need with glowing blocks containing bonuses that can add to your your winning streak at any time. Green power-ups such as ball splits, rocket launchers, plasma guns, fire balls and acid balls will come to your rescue when needed. However, stay away from red power-downs (actually obstacles), that can speed up balls, decrease board size, make balls flight path unpredictable or even explode the board! The dynamic and exciting game play will have you addicted in no time at all when you play Jet Ball HD. 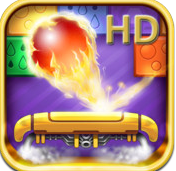 COOL CONCLUSION: "Jet Ball HD delivers an awesome iPad arcade game loaded with color, action and jet propulsion fire power!"